the ‘First Uniquely American art form’. 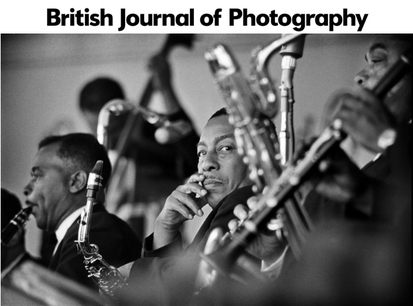 A new release celebrates the work of Grammy-award winning ‘father of music photography’, Jim Marshall as he documented American jazz festivals during the 1960s. Featuring icons such as Miles Davis, Dizzy Gillespie and Nina Simone, the collection includes a variety of previously unseen images in a dynamic exploration of these revolutionary and unique musical happenings. Jim Marshall managed to get the kind of access most photographers can only dream about. He was present at The Beatles’ final paid live show at Candlestick Park, for Jimi Hendrix’s flaming guitar antics in Monterey and – perhaps most difficult of all – on site for the live recording of Johnny Cash at San Quentin Prison. A new book compiled by Graham Marsh focuses on Marshall’s work at Newport (Rhode Island), and Monterey (California) jazz festivals between 1960-66, with an astounding array of musical luminaries featuring alongside stars of stage and screen. The collection is the first in a series of volumes from Marshall’s archive, and demonstrates the photographer’s rare talent for handling composition, exposure and depth of field. This is a collection which exhaustively documents the prominent jazz musicians of the era. Alongside Miles Davis & Dizzy Gillespie there are previously unseen images of Nina Simone, Duke Ellington, Thelonious Monk and John Coltrane – who Marshall had first met in a chance encounter in 1960. The collection follows Marshall’s lens through the stages, bars and green rooms of the festivals, capturing the foundation-shaking performances alongside private, unguarded moments by artistes and audience members alike. It demonstrates his intuitive approach to the craft – especially concerning performance portraits. ‘When I’m photographing people, I don’t like to give any direction. There are no hair people fussing around, no makeup artists. I’m like a reporter, only with a camera; I react to my subject in their environment, and if it’s going well, I get so immersed in it that I become one with the camera’. As such, Jazz Festival acts an insight into decidedly rare cultural miscegenation for the time period – captured with a lightness of touch at odds with the photographer’s reputation for bullishness. Indeed, whilst the Martin Luther King Jr.’s Civil Rights movement campaigned amidst daily newspaper spreads of interracial violence, the impression here is one of natural tolerance – albeit with a focus on sartorial distinction. Says Graham Marsh: ‘When it came to jazz, style was part of the equation in both clothes and attitude. At Monterey and Newport black culture was openly embraced and integrated audiences were the norm. Nobody cared – as long as you looked sharp and dug the music – anything else was just jiving, there was strictly no room for squares. ‘After World War II, US soldiers who fought fascism abroad returned to an apartheid nation at home. Blacks and whites could be found in the same towns and cities throughout America but they existed in different worlds.